Huge news. Ever since Project Fi started, people have been requesting the addition of a mid-level, non-Nexus/Pixel device to be fully compatible with Project Fi. Finally their hopes and dreams have come true, in the form of the Moto X4. Today, project Fi announced the addition of this device to the list of compatible devices. Users will have the option of a regular Moto X4, or the Android One version. Users can learn more about Android One here. 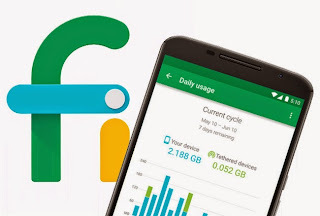 The Android One version for Project Fi will be available directly from Project Fi, and the regular version will be available from other retailers, including Amazon. Users can learn more about the Moto X4 and the specifications here. However hi-level specs are shown below. It is expected that the device will sell for $399 which is a great price for a phone with these specs and working on Project Fi. What else do we know about this device? It will come with both Alexa and Google Assistant built in, so you can choose your assistant depending on what you need to accomplish. I bet many of you are excited about this. When do you think that the X4 will be shipped?